I'm Alex, I'm 8 years old. I have neuroblastoma and I raise money for pediatric cancer research with the help of other kids and grown-ups through my lemonade stand. 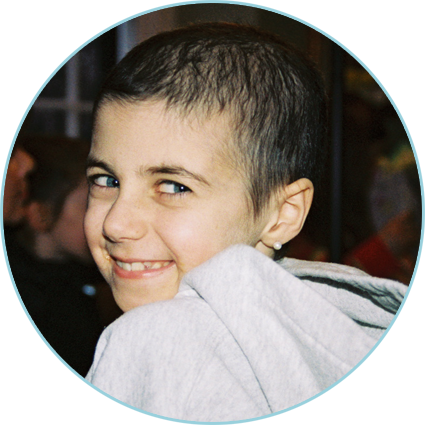 I give the money I raise to research to find cures for pediatric cancers. My parents, my brother Patrick, my brother Eddie, my brother Joey, my dog Shammy, and my cute kitten Herbert. I live in Pennsylvania, right down the street from Philadelphia.